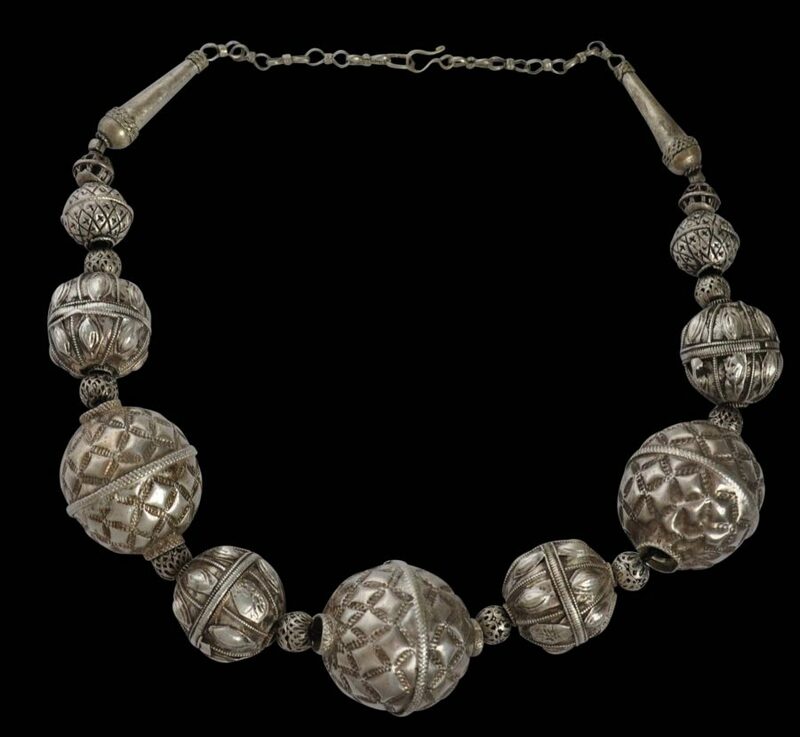 This necklace of hollow silver beads from Yemen includes three rare, large beads chased with a pineapple skin-like pattern. This type of pattern is highly unusual and we have been unable to find published examples. 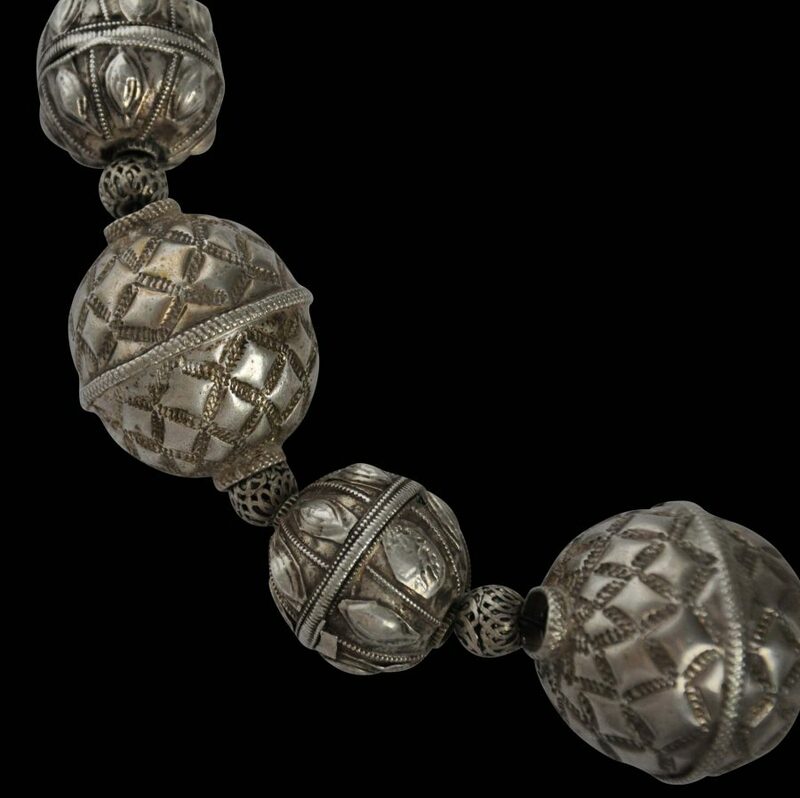 It includes better-known bead forms: there are four beads decorated with applied seed motifs for example, various small, pierced beads used as spacers between the larger beads and so on. Several of the more typical beads have maker’s marks. Overall, this is a fine necklace of beads of graduated sizes. There are minor age-related imperfections. It has a strong hook catch and is stable and very wearable.